It’s tax season, and now is the time to familiarize yourself with how financial scams work. 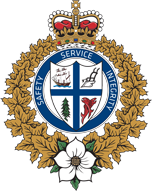 The Canada Revenue Agency Scam is hitting New Westminster with a renewed intensity, and we ask that you speak with your friends and family about these scams. We would like to remind everyone, that the CRA does not contact people by telephone and the CRA never arrests anyone for outstanding balances owed. Learn more about this scam on the CRA website.